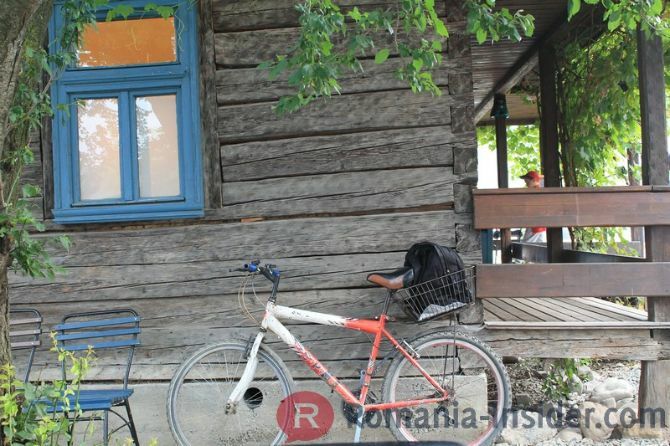 It’s the start of a working day in Vişeul de Sus, a village in Maramureş, Northern Romania. 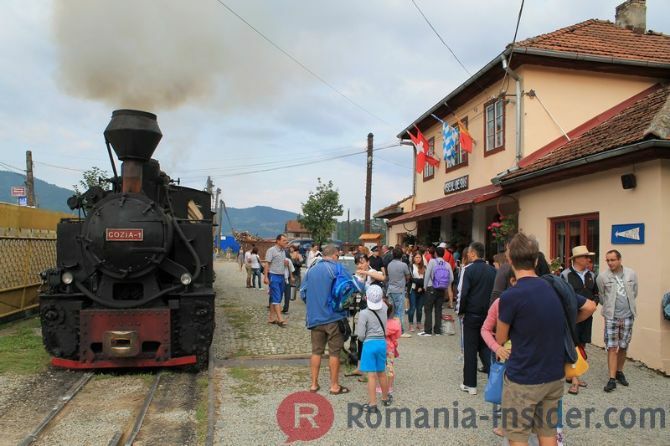 At 8 in the morning, people already form long queues to buy tickets and jump on the famous steam train, the Mocăniţa, that used to carry wood down the mountain. 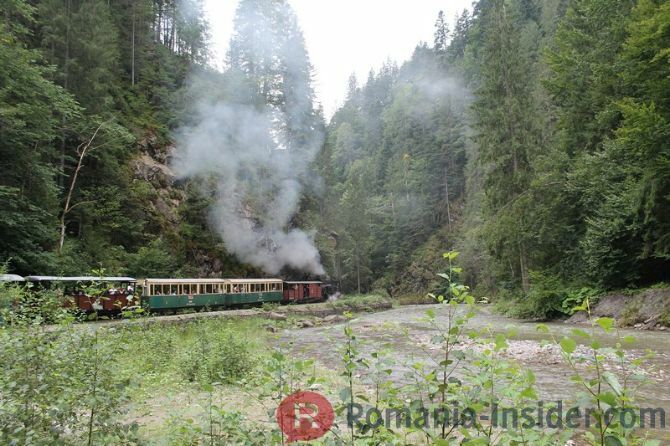 Now the same train, fed with wood and water, very slowly takes travelers through the woods, to a place that seems close to the end of the world. Of the modern world. 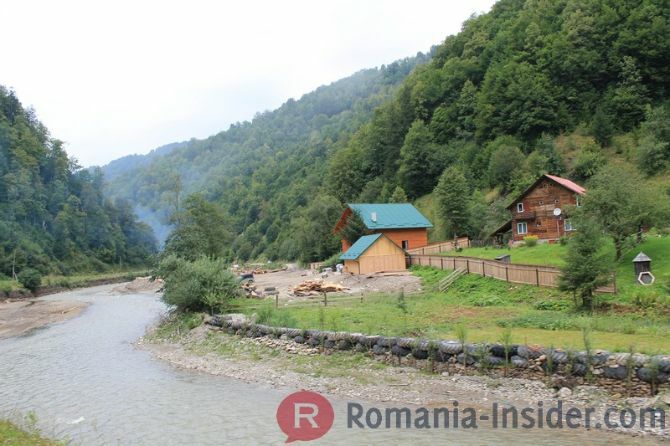 Before getting there, however, some preparation is needed: summer is a busy season for the Mocăniţa, which runs from early July to mid - September. It’s the season when four trains, and not just one, make the daily 21-km trip, and when people need to sign up on waiting lists for a chance to be on one of the four trains. So piece of advice: make sure you reserve seats in advance! Or that you’re there way before the sun rises…. We ended up on a waiting list, and we were lucky enough to be called quite fast and let know there were two seats for us on one of the four trains – that really made our day! 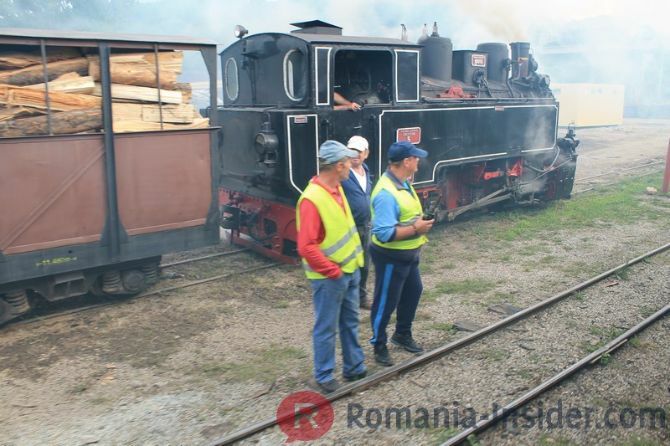 What many travelers don’t say is how much smoke one has to inhale at times when traveling on the Mocăniţa, and never did I hear anyone mention the ash falling on everyone! Most carriages are open – great for the view – so small pieces of ash travel unhindered and likes to stick to clothes and skin. You should also take a pillow with you – the benches are made of wood, so not great for a four-hour train ride. This is however part of the whole experience, and somehow at the end of the day is all forgotten, balanced out by the beauty and the tranquility around. 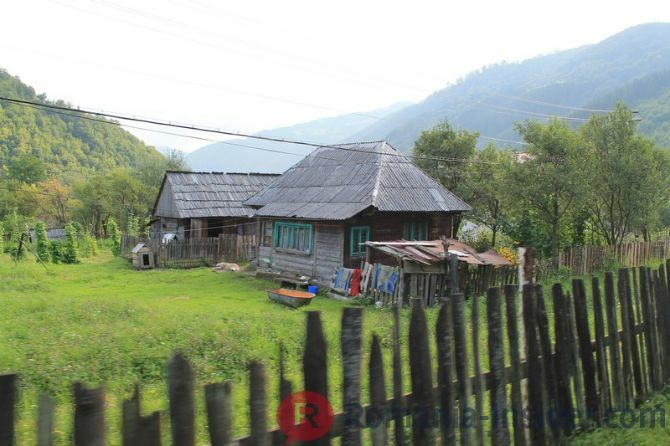 When embarking on the Mocăniţa, leave all worries aside, and do the same with your expectations. You are really back in time. 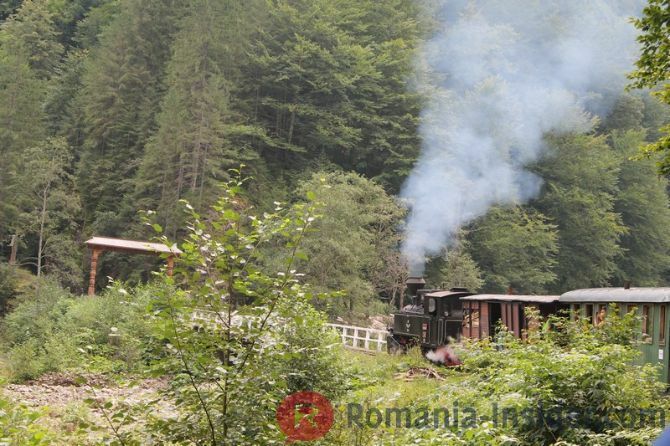 Traveling through the village that gets slimmer and slimmer as it makes room for the forest only, and seeing the steamy locomotive moving slowly through the woods will be relaxing, provided you let it be. The train is really slow, and it stops a couple of times on the forest track. The first train leaves at 9, and the other three – if they run on your day of choice – leave at half an hour intervals. 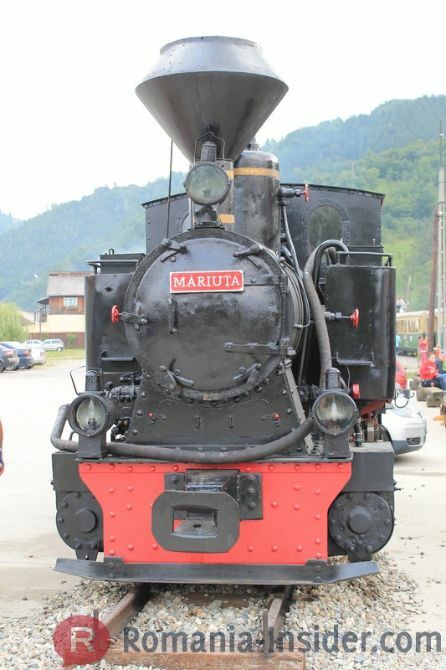 When we went, we were lucky to catch a train with a working steam locomotive. 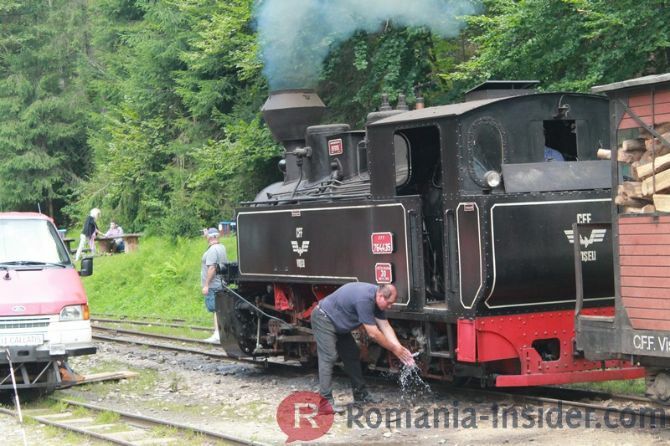 Sometimes the locomotives break, and they have to use diesel locomotives, which take away some of the charm. 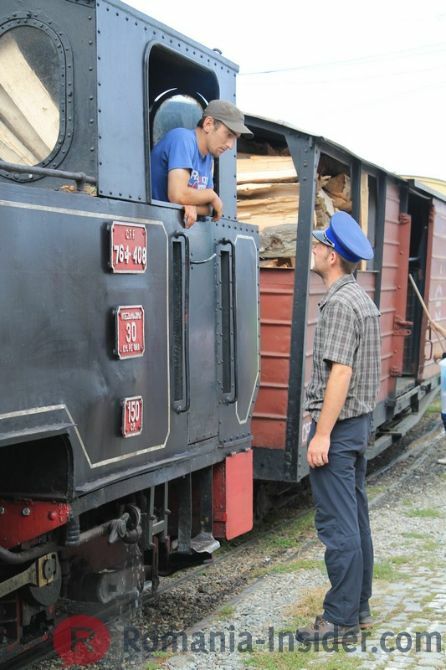 Other times, the locomotive can break on the way, which will delay everything, including the return trip for the others – this is what happened to us – so better plan a full day for this experience, and be happy if by 4pm you’re done. At the stop in the wood, there’s no phone signal, and you’ll have to do either with the food you brought with you, or buy some of the food they sell, and enjoy the music and dance show organized there. Alternatively, you can also walk a bit in the woods, there’s a marked path. Whatever you choose to do, it will be refreshing. Provided you don’t expect everything to run smoothly and you’re not counting the minutes of delay from the announced schedule. 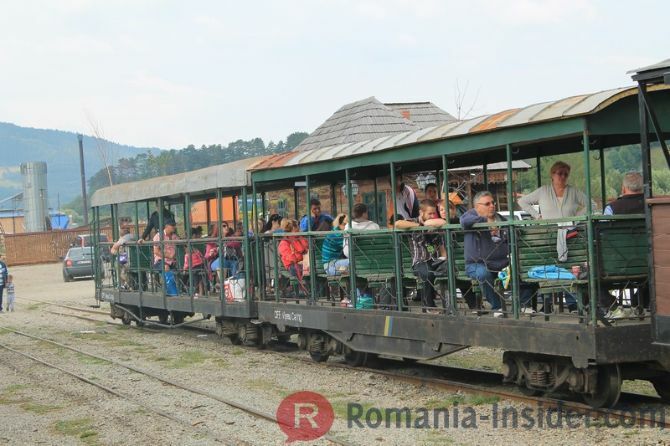 Now, some practicalities: the ticket for the Mocăniţa costs RON 49 per person (EUR 11.6), and RON 39 (EUR 9.2) for children. 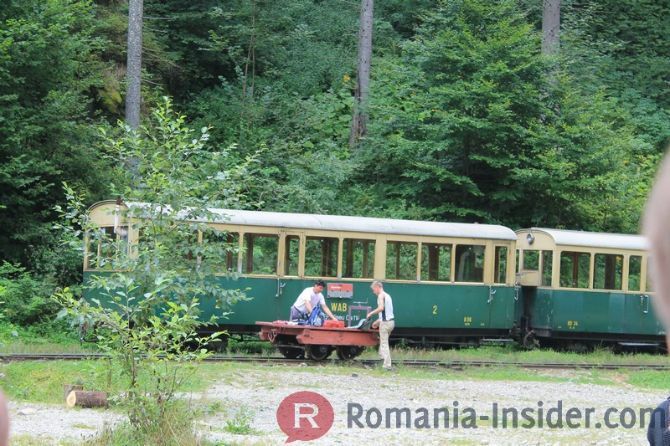 There are special options for groups of over 15 people – a full carriage can be rented, and it can even continue the trip through the forest past the 21.6-kilometer mark where it stops for everyone else. 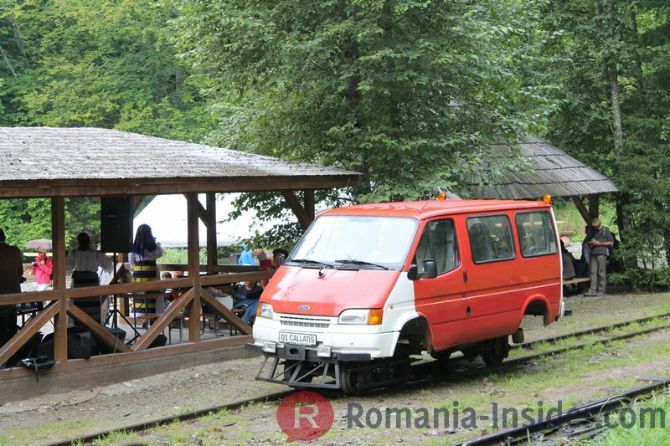 There’s also a Mocăniţa Special option, RON 83 for adults (EUR 19.7) and RON 58 for children (EUR 13.8), which offers a seat in a closed carriage, just after the locomotive, as well as food, drinks, and a cushion for the seat. (Another important hint – take a pillow with you, you’ll want to seat on it, the benches are made of wood and not very comfortable for a long ride). 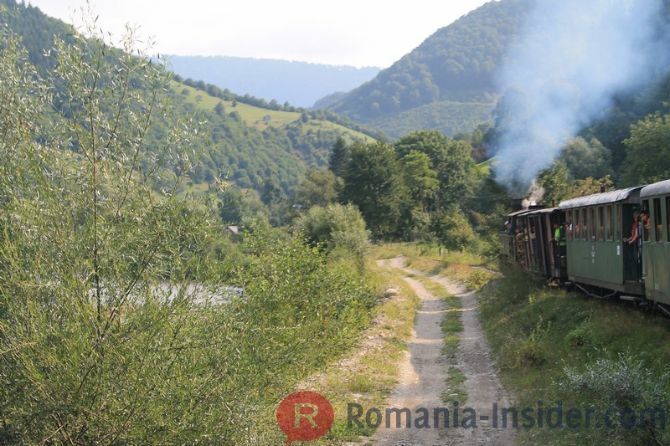 The company which runs the Mocăniţa and the business around it, R.G.Holz Company, offers plenty of options for corporate events, or for larger groups, including trains for two-day trips, including on-train accommodation. They speak English and seem to be pretty good at managing special requests, from what I have seen. More about the steam trains and the track, here. 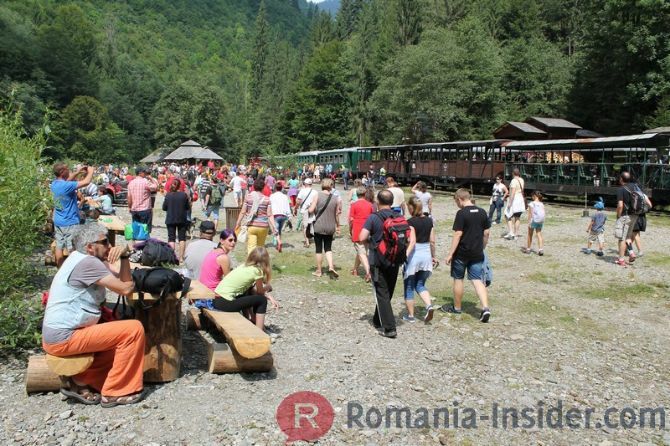 If you miss the summer season, when the Mocăniţa runs every day, you can also catch one of the special trips: in spring for the spring holidays (2-3 days), for Easter, on Labor Day (May 1), the special Rusalii Train, the special trains for Christmas (3 days) and New Year’s Eve (four days). Hints: reserve seats in advance, go to the railway station early so as not to queue, bring food with you (you will stay for about two hours at the stop in the forest), bring pillows for the wooden benches; don't plan anything under tight schedule for the rest of the day; bring your 'happy and serene' mood and let go of everything; make sure work or family emergencies can be taken care of by somebody else as you will not have cell phone reception during the trip; take plenty of pictures on your way to the forest (even if a lot of people will block your view, everyone's out the window trying to take pictures), because the train will look odd on the way back, the locomotive will travel backwards (no possibility to rotate it)and it might ruin some pictures (though we believe it still looks very nice).